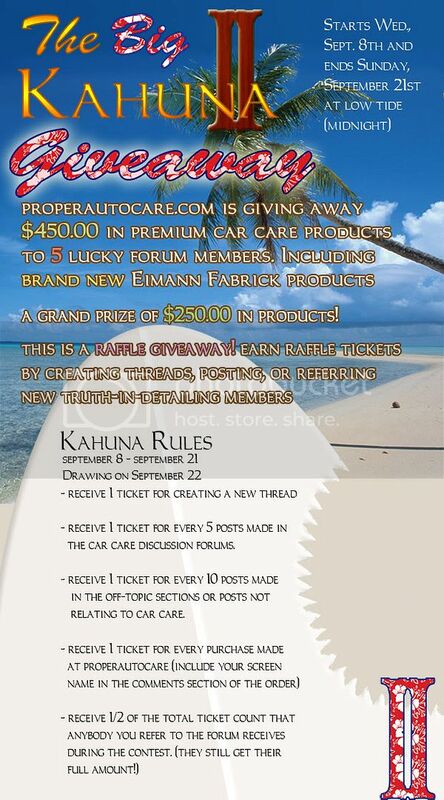 The Big Kahuna 2 Contest. $450 in Total Prizes Available! Last year's Big Kahuna was a great time for everyone who played, and for those who watched from the sidelines. This year's contest promises to be even better! Here's your chance to win just for posting to the forum. There are $450 in total prizes available! Participation in the contest is open to registered forum members only. If you are not yet a member, now would be the opportune time to join.